TONTO NATIONAL FOREST | A wildfire that was reported on Friday morning in the Tonto National Forest is still burning but fire crews are working to contain it. Location | The wildfire is located about 13 miles northeast of Payson, Arizona. and one mile north of Meads Ranch in the Robert’s Mesa area. Fire Timeline | Here is a timeline of this wildfire to help understand how this fire has developed from the initial response until the posting of this article. March 30: Fire started at 0915 hours. 10 acres. 0% containment. Human-caused by illegal fireworks. Firefighters got a good knockdown with the aid of fire containment resources enabling them to build a dozer and handline around most of the fire. 140 firefighters on the fire line. Most spend the day improving and working to stop the fire from escaping its containment lines. Forest service roads, trails and other access roads were closed. 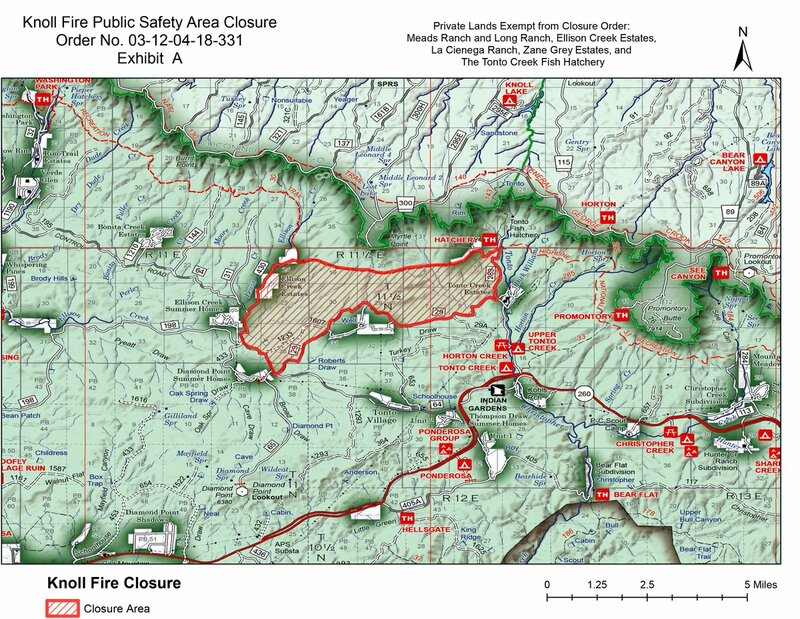 Incident Cooperators | Gila County, Hell’s Gate Fire Department, Payson Fire Department, Pine-Strawberry Fire Department, Water Wheel Fire and Medical, Tonto National Forest, AZ State Forestry.